India was leading the world in bamboo production till 1986 but now we hold second position after China. 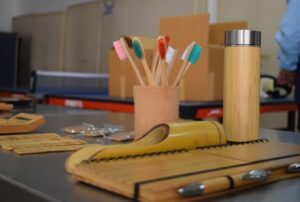 Where do we use bamboo? The answer is limited to art & craft, furniture and few things at construction site like ladder. “In the world there are 1800 bamboo based products available for sale. On the contrary in India we have only 4% productive use of bamboo, the crop in which we are second highest producing country. Are we under using our strengths?” questions Mr. Yogesh Shinde, founder, Bamboo India. 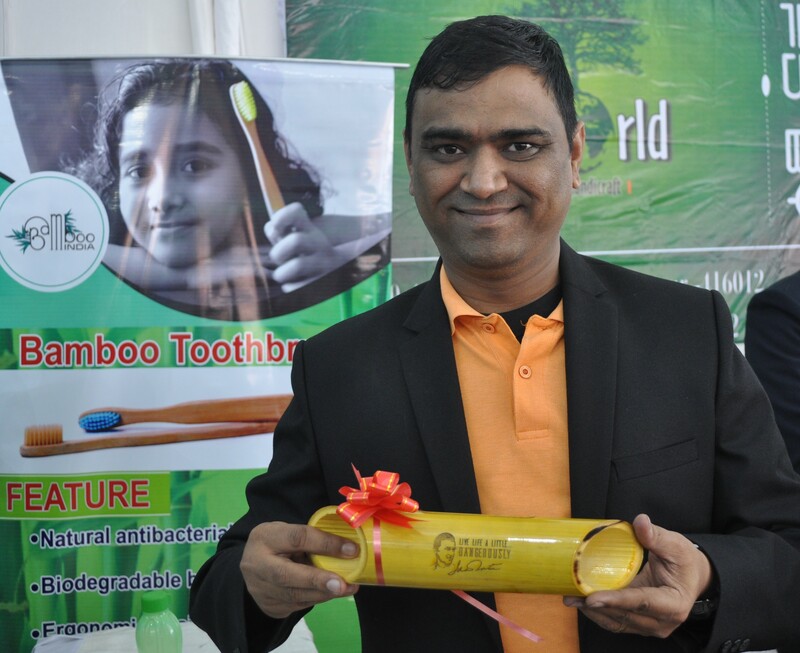 He has taken the initiative to transform the lives of farmers, youth and women residing in rural India by innovating products having key raw material ‘bamboo’. 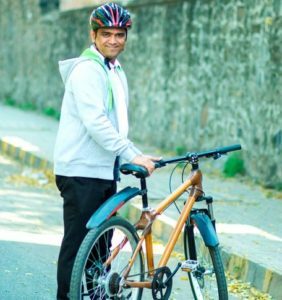 Through his company he is not only encouraging farmers to grow bamboo but adopting the entire village and turning it into hub of manufacturing some exclusive product from bamboo. Some of the products manufactured and sold by the company are bicycles, toothbrush, straws, speakers and so on. I lived for four years in countryside of Europe and saw European farmers living a luxurious life that is beyond imagination for Indian farmers! They too face extreme climatic conditions yet they do well. In European market price of agricultural commodities is mostly stable and never go through the volatile changes as we have in India. Why it is so different in India? I asked this question to my European landlord who was a farmer. 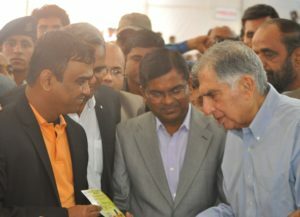 He said, “We collectively use our agriculture strength in best possible way. Germany leads the world in barley production so we have developed a beer culture from barley and it is best in the industry. Similarly France excels in grape production so produces wines and French wine is considered finest in world.” This really struck me and forced me to think, what is the agricultural strength of India? Which is the highest growing crop of India? To find our agricultural strength I did a detailed search on the crops grown in every India state. I was mesmerized to see that we have extreme diversity in the crops grown across the country. Diversity certainly makes us unique but the crop that could bond us all together for benefitting the farming community was bamboo. It is grown in every state of India and we have different varieties of bamboo specific to the region for example Rida bamboo is grown only in Meghalaya, Melocanna arundiana is cultivated solely in Assam. In all there are 136 bamboo species found in India and each specifies have 5-6 variants. All together we have more than 500 bamboo varieties that can be grown in our soil. Having identified the agricultural strength of India in bamboo I started developing products from bamboo that can be an alternative to plastic products. This is how I produced bamboo toothbrush, straws, speakers, clothes, ear bud and even bicycles. More such products are already sold in the market and many more are in the R&D stage. We are developing the products and selling to the consumers through various marketing channels. Presently we are procuring bamboo from 300 farmers residing in different Indian states because our requirement of bamboo species varies with the products like Dendrocalamus strictus is used for making speaker, Dendrocalamus stocksii for bicycles, Rida for straws, Moso for toothbrush, Bambusa for planters etc. However our main aim is to give financial independence to farmers. To do so we are adopting villages and turning it into manufacturing workshop for bamboo products. One such village near Pune has 150 families and most of them grow bamboo. Instead of buying bamboo we are setting up a workshop in the village, installing the required machinery, training farmers’ and their families to make bamboo products. We will pick these products and sell them through our existing channels. Everyone is paid for their bamboo and services. In this way the village will get the recognition and income of its people will be increased. Our future plans are to adopt many more villages thus farmers group growing bamboo can contact us anytime. Secondly we want to use bamboo logs to the maximum possible extent by developing innovative products. Bamboo has immense potential to open the doors for India to explore the global market with different products. Once grown, the crop gives the first harvest in 3-5 years and then after it can be harvested every year for more than 100 years. Also now as Modi government is supporting and promoting this crop in a big way, farmers must consider growing and processing bamboo. We are here to help them in every way possible. Mr. Yogesh Shinde did his post graduation from Pune, Maharashtra. He worked in different MNCs in IT field outside India for many years before turning into an agricultural entrepreneur to bring a positive change in the life of Indian farmer by using our bamboo culture.